Zipcar Deals For Vancouver Lovers! We're pleased to announce the latest Vancouver, we love you sponsor… Zipcar! They love what we're doing around Vancouver and want to help our adventurers get out and explore more. Sign up here to receive a special Vancouver, we love you discounted membership for their city wide car sharing program. AND…. for the month of April if you use the promo code "vanlove30" they'll also throw in an extra $30 driving credit as well. Boom! Use Zipcar to grab groceries, plan a weekend exploration, or join our Great Adventure Club on one of our many meetups! 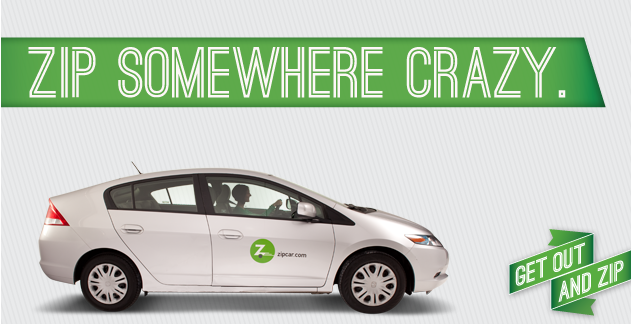 No matter where in Vancouver or the lower mainland you live, there's a Zipcar hub near you. Zipcar is the the world's leading car sharing network, and has operations in urban areas and college campuses through the United States, Canada, the United Kingdom, Spain and Australia. Zipcar offers more than 30 makes and models of self-service vehicles by the hour or day to residents and businesses looking for smart, simple and convenient solutions to their urban and campus transportation needs. Thanks for supporting Vancouver, we love you Zipcar! Nice to have you along for the ride.